State College regularly rates among the nation's best college towns, but a new ranking has the borough among the top overall places to live in the United States. In Livability.com's 2018 Top 100 Best Places to Live, State College comes in at No. 52. 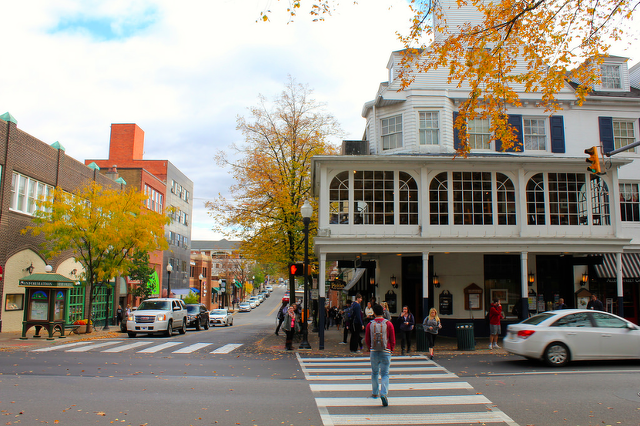 This is the fifth year Livability, a site that "explores what makes small-to-medium sized cities great places to live," has published the list and the first time State College makes an appearance. The ranking used data on more than 40 measures to rank nearly 2,300 locations with populations between 20,000 and 350,000. National polling determines what matters most to communities, and then public and private data are analyzed to measure economics, housing, amenities, infrastructure, demographics, social and civic capital, education and health care. More on the methodology and criteria can be found here. "Right in the geographic center of Pennsylvania is State College, a city surrounded by mountains and forests — and full of Penn State pride," the ranking said of State College, noting the university as a driver of employment and surrounding businesses. It cited health care, neighborhoods and the Central Pennsylvania Festival of the Arts as contributing to the ranking. On a list with more than a few college towns, Ann Arbor, Mich., came in at No. 1. Pittsburgh, at No. 34, is the only other Pennsylvania municipality on the list. State College has previously been ranked on other Livability lists, including No. 3 for Best College Towns in 2017 and No. 10 on the Best Cities for Entrepreneurs list in 2016. It's also not the first time in recent years that the Centre Region has appeared on a list for best places to live in the U.S. Last year, Niche ranked the College Township communities of Houserville No. 3 and Lemont No. 11 among its Best Places to Live in America. The prior year, Niche ranked College Township No. 7 and Ferguson Township No. 12. State College Police on Tuesday released surveillance images and details on the robbery of a downtown market last week.